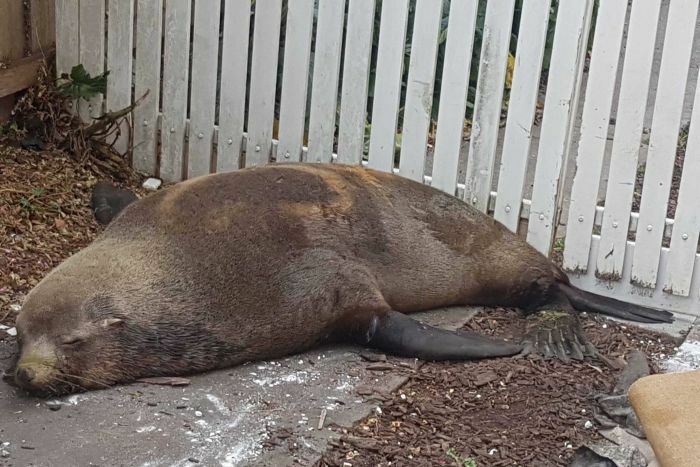 Dubbed "Lou-seal" by police, the wayward animal wandered into Penquite Road in the Launceston suburb of Newstead in the early hours of Boxing Day. The adult male, estimated to weigh 200 kilograms, was first spotted about 5:45am in the middle of a road. It scrambled onto a car parked in a driveway and then jumped on to another car parked behind it. The seal was cordoned off by police while waiting for Parks and Wildlife officers to arrive, with people inside the house unable to leave for several hours. William Gregory was staying at the Newstead home. 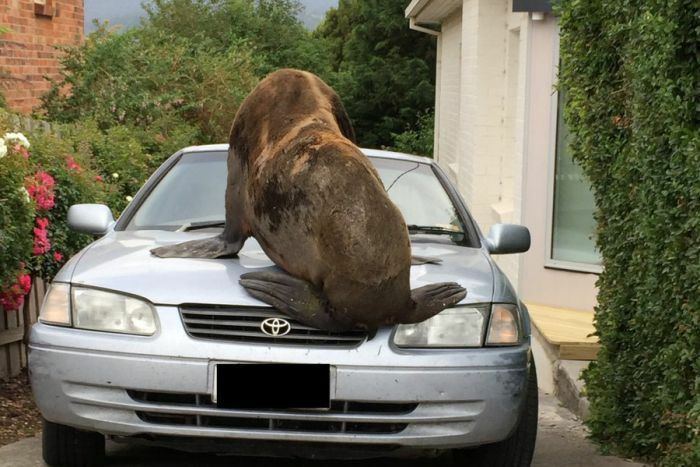 "We got up and there was this great big seal on the roof of the car which is definitely not what you'd expect on Boxing Day," he said. "You kind of wake up and you wonder, is this really happening, am I really seeing this or am I still dreaming? 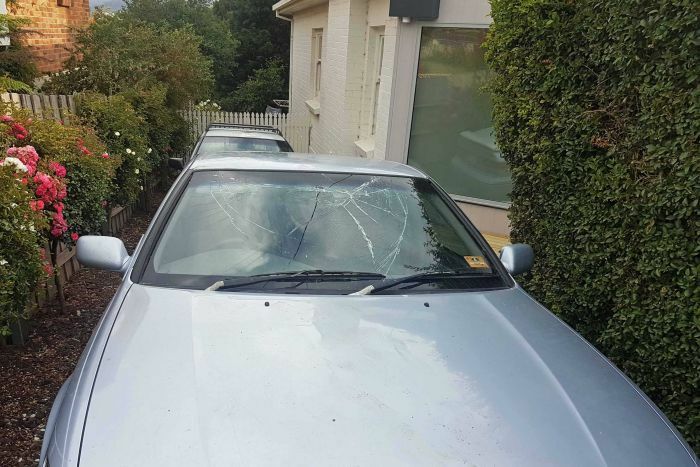 "It did this spectacular manoeuvre where it slid down the back of the first car and jumped onto bonnet of the second car and scrambled over the top of that." Mr Gregory said Lou-seal caused only minor damage to both cars. 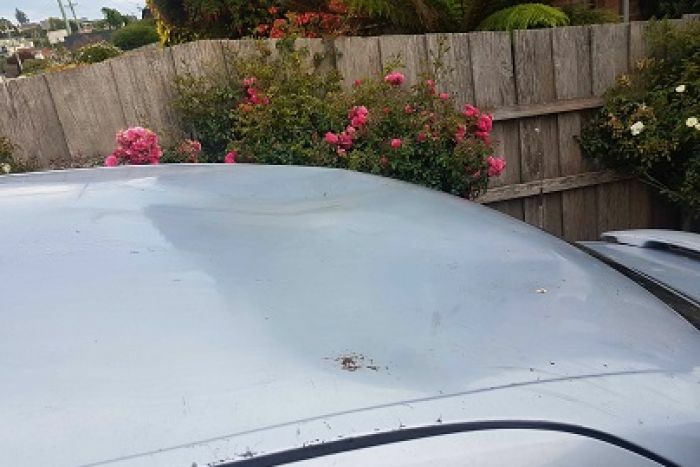 "We'll replace the windscreen and pop a few dents out, they're just old cars so it doesn't really matter. It's worth it," he said. It was not the first time seals had been spotted in the area. "A couple of long-term locals told me that it's happened a couple of times over the years," Mr Gregory said. "There is a little estuary right behind our house so I imagine he's just swam out there ... and found himself out on the street." Parks and Wildlife staff tranquilised the hefty creature before moving it onto a trailer. 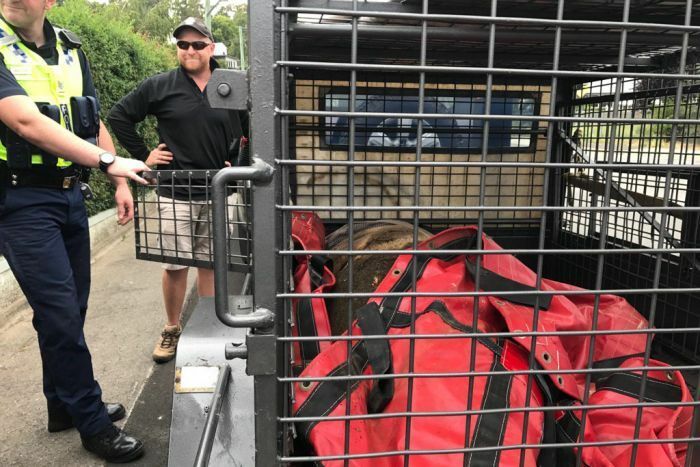 Wildlife biologist Rachel Alderman was not surprised Lou-Seal was out and about, given the large population of Australian fur seals in Tasmania. "At this time of year, it's not unusual for us to locate fur seals in rather strange locations," she said. "Most of the breeding colonies are up in Bass Strait ... so at this time of the year, all the seals are sort of congregating up in that neck of the woods. Ms Alderman said it was unclear what the mammal was looking for. "Seals are inquisitive and could have been following food," she said. 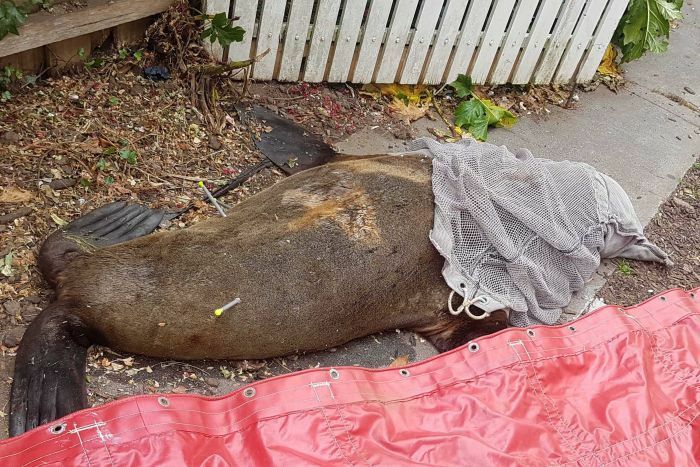 "In the past we've found seals in a range of unusual locations from paddocks to car parks to even last year we had to retrieve one from a toilet block in a cemetery." Lou-Seal is sleeping off the sedative and will be released later at a beach in Tasmania's north-west. Social media was quick to embrace Lou-seal, declared by one person on ABC 936's Facebook page to be an interesting hood ornament. Others were contemplating the insurance claim. "Hope the insurance gives their seal of approval for the claim," said Rachel Zavier d'Leon. "Your bonnet got dents how?" said Kris Carr. "I've seen some unusual bonnet ornaments but that one's ridiculous," Matt Lello posted.